What's a Ghoul to Do? 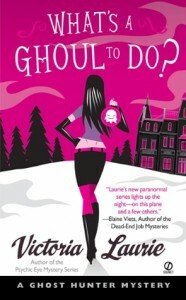 (Ghost Hunter Mystery Series #1) - Read. Sleep. Repeat. My 2nd #BoutOfBooks read!This book, while it had a few faults, was cute. I loved the plot, the characters were ok and most importantly I laughed....a lot!Full review to come soon!